A good, comfortable environment is the first thing on the list of necessities. 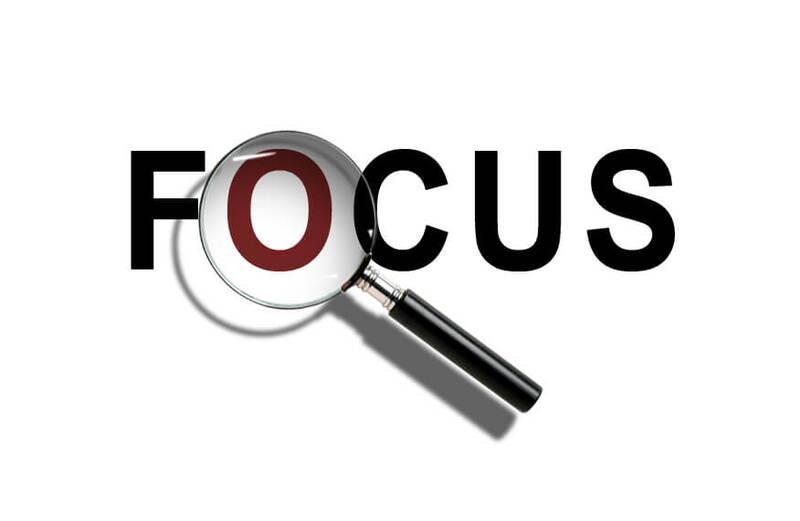 One cannot focus at what they’re studying if they keep getting distracted by things around them. ‘Comfortable’ does not however always mean a solitary, silent surrounding. One may even find a bustling environment more preferable than a silent one. You should keep trying different environments, experiment studying with (or without) music or even studying in groups. With time and multiple trials you will surely find a place that suits you. Gadgets like televisions, mobile phones, iPads, laptops, etc. are very distracting. One keeps coming up with excuses to use them, and loses focus. It is a good idea to switch them off, mute them or keep them in a different room while you’re studying. If a laptop or desktop needs to be accessed in order to study something, one must make sure that they do not get distracted and begin doing something else. Before you sit down to study, make sure you have everything you need. If you follow a study timetable then go through it and check all the necessary books that you have to go through are reachable. Also, check your stationery and keep a water bottle at an arm’s distance too. Doing this not only saves your time and energy but also ensures that when you’re studying you don’t lose focus. A predetermined schedule is always a good idea. It not only helps you manage time better, but also helps you to get used to the routine. The timetable should, ideally, cover every activity of the day. From waking up to eating time, from sitting down to study to every break, from leisure time to sleeping hours, the timetable should be specific so that you yourself are not able to find loopholes and cheat. A student should also set goals for everyday. The number of chapters that need to be covered, the topics that need to be revised, the questions you need to solve should be specified when you are making your timetable. Dividing the large chapters into smaller sections to be covered over a number of days not only makes it easier for you to study without getting bored of the same topic, but also gives you a sense of accomplishment when you achieve these goals. In between study time it is very important for a student to take breaks periodically. These breaks should be of specific time periods and the activities undertaken during these breaks must be recreational in nature and not distracting. It is okay to check your phone while you’re taking a break but you must make sure you get back to studying and not waste time that exceeds your break time. You must also make sure that you get at least 6-8 hours of sleep every day. Smart studying is a concept that students should practice more and more every day. When you’re studying by yourself or in school, keep a pencil handy so that you can underline and mark the important points you come across. These key points turn out to be very helpful when you’re revising and save you from unnecessary reading. Speed reading, too, should be practiced. During exam time, the summaries at the end of the chapters, the notes you made and the key points that you highlighted are a great help in covering more topics in lesser time. Studying with a group of friends or even a single friend is always helpful. Having someone you can discuss topics with, clarify your doubts from assist you in grasping the concept better. It also means that you’re able to break away from your routine and these friends can always help you cope up with your exam stress and give you the necessary motivation to keep going. After every few topics/chapters it is advisable that you question yourself. Take some questions off the end of the chapters and answer them. It helps you keep a check on your own progress and ensure that you have no doubts. If you have a study partner, then you can prepare questions for each other and score them. Very often students set unattainable goals for themselves or goals that are too stressful. It does not matter how much syllabus you have to cover or how little time you have left, one should always remember that it is no use over-stressing them. Over exertion is harmful for your brain and body. If you are not calm and at unease when you’re studying, then it is no different than not studying at all. Feeling tired or nervous does not allow you to concentrate on your studies and you feel exhausted and unmotivated. 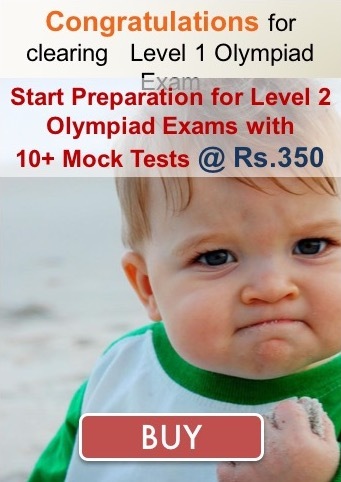 Concentration is rightfully one of the fundamental requirements of success in Olympiads. Therefore a student should try to work on their concentration skills as it will take them a long way.